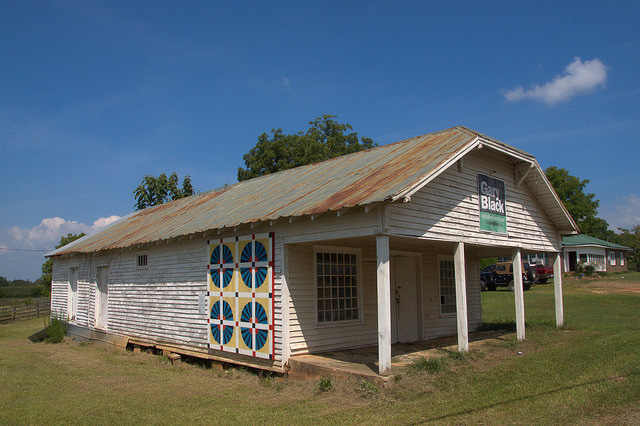 This store served the community with household and farming supplies for generations and later served as a polling place and egg processing facility. Today it’s used for storage. The quilt panel on the side of the building is one of several in the area.